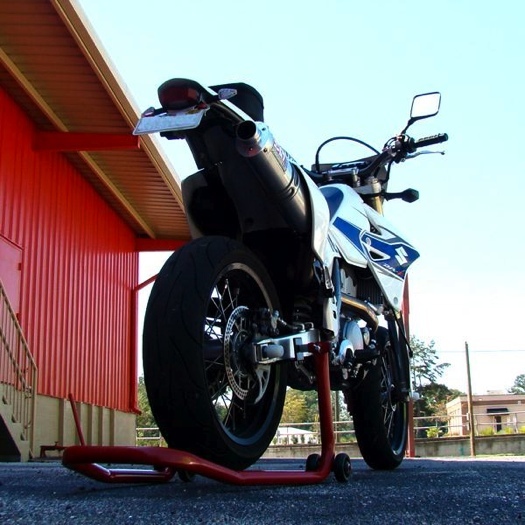 Our motorcycle stand is the perfect swing arm stand for motorcyclists who need to raise their motorcycle by the swing arm. 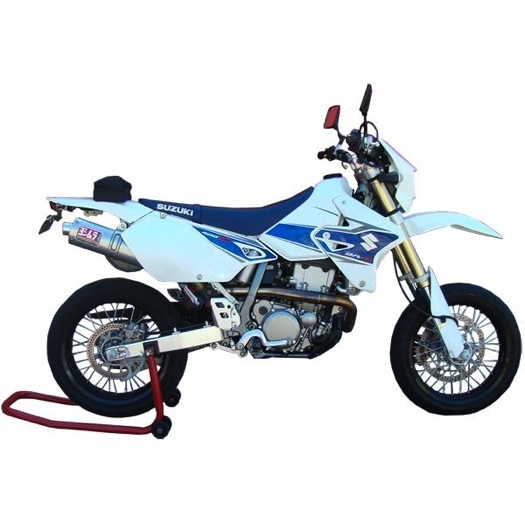 The stand easily rolls under the motorcycle and lifts the motorcycle by the swing arm. 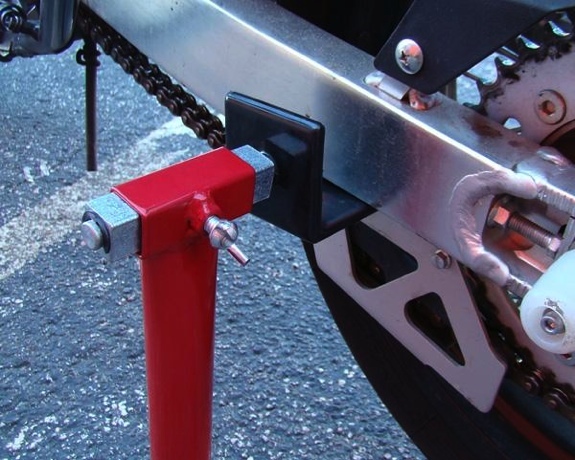 The swing arm stand features an adjustable width to accommodate almost every motorcycle. 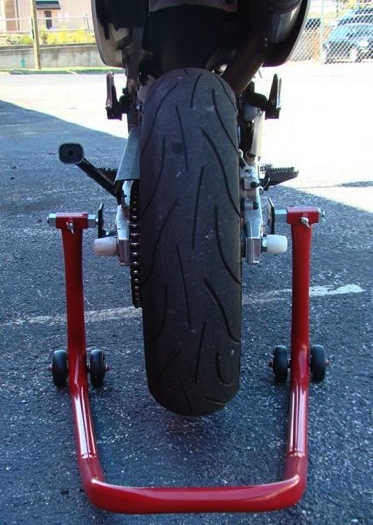 This swing arm stand is designed for regular swing arms and will not work with single sided swing arms.